Spray 5- to 6-quart slow cooker with cooking spray. Place meatballs in slow cooker. In large bowl, stir together remaining ingredients. Pour over meatballs; stir to coat meatballs with sauce. Cover; cook on Low heat setting 6 hours. Stir before serving. 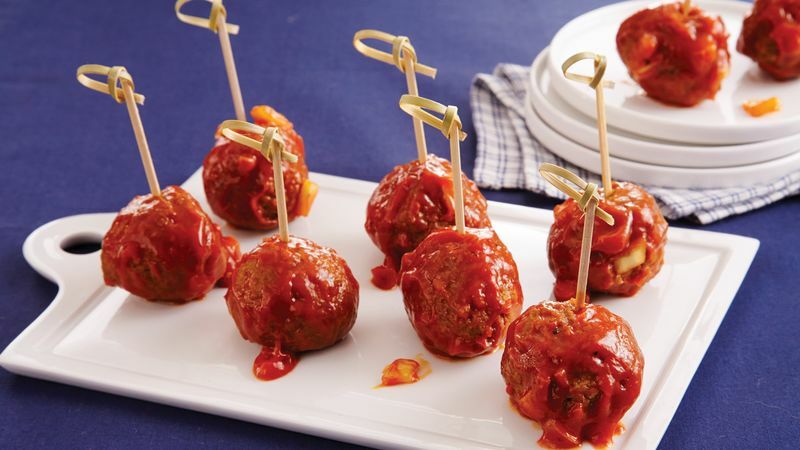 Serve meatballs with toothpicks. Frozen meatballs make this appetizer quick and easy. Thaw meatballs in the refrigerator overnight before assembling.